The world's top asset managers had a very rough month in October. Negative double-digit returns for the month have doubled the negative total return for the year. Asset managers are facing three main issues these days: AuM, Focus, and Pricing. Going forward, they will need to increase popularity even if this comes on the expense of identity. 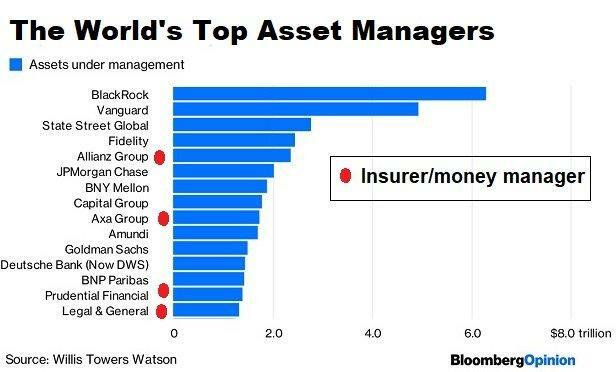 The world's top asset managers list is seeing many familiar faces, some are pure/predominant asset managers while others are either banks - e.g. 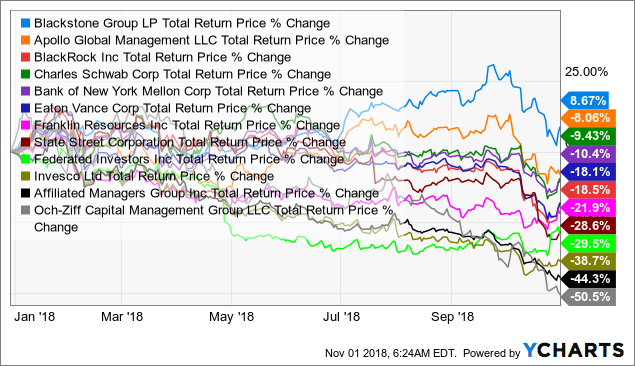 JPMorgan (JPM), Goldman Sachs (GS), Deutsche Bank (DB) - or insurers, such as Allianz (OTCPK:ALIZF), Axa (OTCQX:AXAHF, OTCQX:AXAHF), and Prudential Financial (PRU). 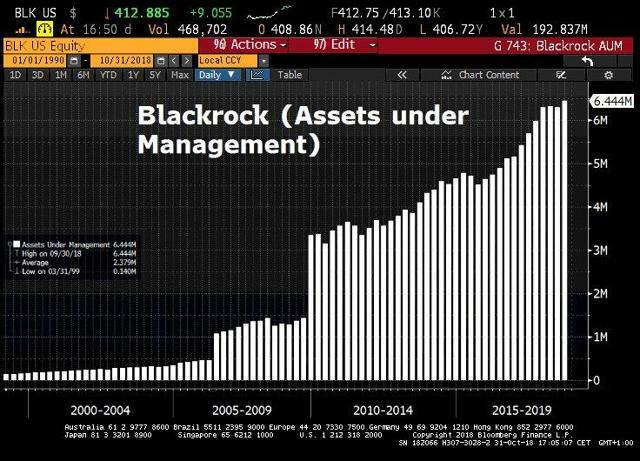 The four largest US asset managers - BlackRock (BLK), the Vanguard Group, State Street (STT), and Fidelity (FIS) are managing about $16T worth of assets. That's not too far off the US annual GDP! Asset-manager stocks were down, on average, 10.5% in October, after being down over as much as 15% earlier this week (till and including 10/29/2018). 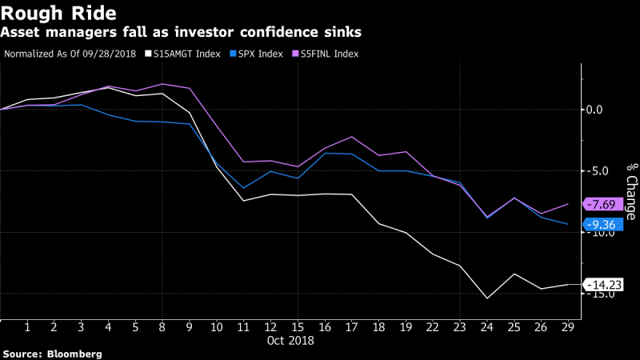 As poor as the performance over the past month was, asset-manager stocks have underperformed long before Red October came into play. They are now down about 20.3% YTD, on average. 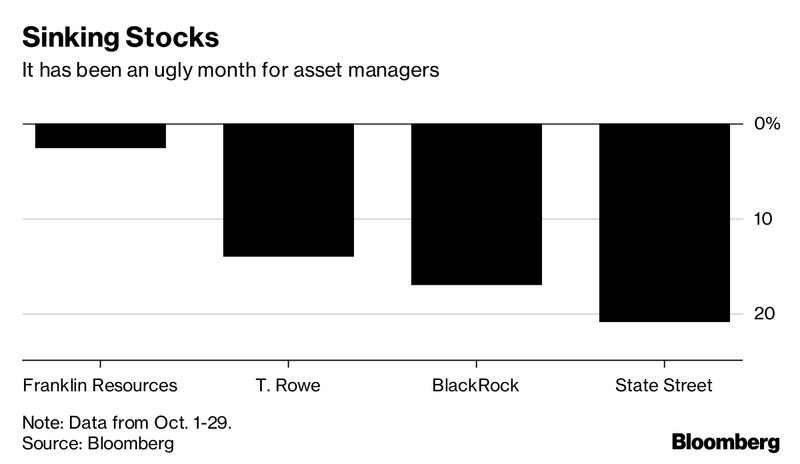 With its October plunge, BlackRock is the main one to blame for the selloff we've witnessed in asset-manager stocks. As we wrote earlier this month, it's Much More 'Black', Much Less 'Rock' for financials this year. The industry index is heading for its biggest annual loss since 2008. Asset-manager stocks have performed much worse than their financials (XLF) counterparts as well as the broader market (SPY). The commonly used mantra these days, explaining this slump, is "If you are not growing - you are dying." The volatility of flows in and out of iShares iBoxx $ High Yield Corp Bd ETF (HYG), BlackRock's $14.4B US high-yield bond ETF, has been tremendous and accelerating. This suggests that there is a lot of institutional involvement here and a great deal of disagreement as to market direction. A big takeaway from BlackRock's earnings is the increasing focus on their technology unit, where revenue increased 18%. CEO Larry Fink said he hopes this unit will produce 30% of the firm's revenue by 2022. 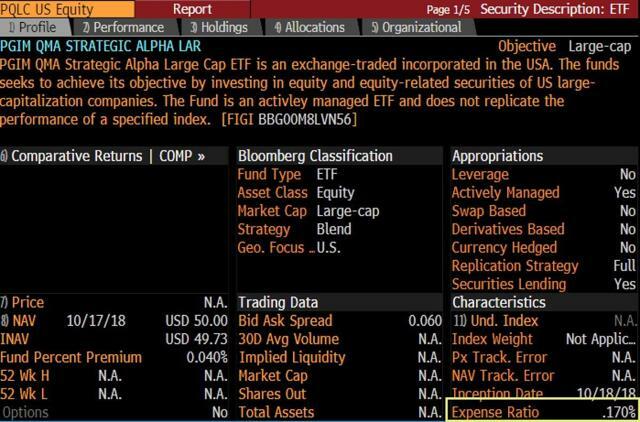 It speaks volumes that the biggest ETF issuer in the world (and the only company who is even close to Vanguard, flow-wise) is aggressively diversifying away from fund management businesses. 3. Fierce competition that drives fees (too?) much lower. Last week, Prudential (PRU) has quietly launched the cheapest active equity ETF, priced at only 0.17%* per annum. 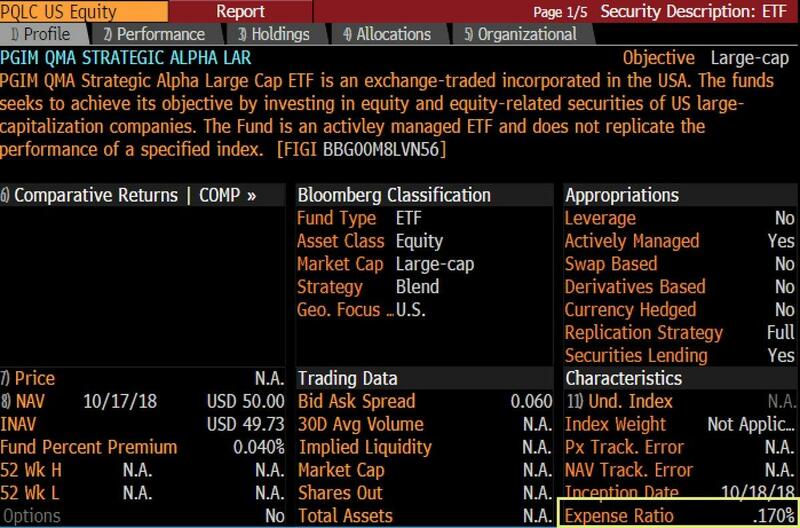 Unless I'm mistaken, this is the cheapest active equity and fixed income ETF in the market. BlackRock Germany's (EWG) Chairman of the Supervisory Board, Friedrich Merz, who is now running to succeed Angela Merkel as head of the CDU party, says he intends to counter the rise of populism with an emphasis on national identity. Author's note: Blog post notifications are only being sent to those who follow an author in real time. In order to receive notifications for both articles and blog posts, go to Author Email Alerts, which lists all the authors you follow and turn on "Get e-mail alerts" (see below). The Wheel of FORTUNE is one of SA Marketplace's most comprehensive services. We view our service as a "supermarket of ideas" with an emphasis on risk management and risk-adjusted returns. Our monthly review for October, where you can find all suggestions since launch, is only one click away. We cover all asset-classes: common stocks, preferred shares, public debts, baby bonds, options, currencies, and commodities. With Trapping Value on-board, you're getting two leading authors for the price of one. Before committing to the service on a long-term basis, take advantage of the two-week free trial.